Screw Conveyor Systems – Conveyor Engineering & Mfg. 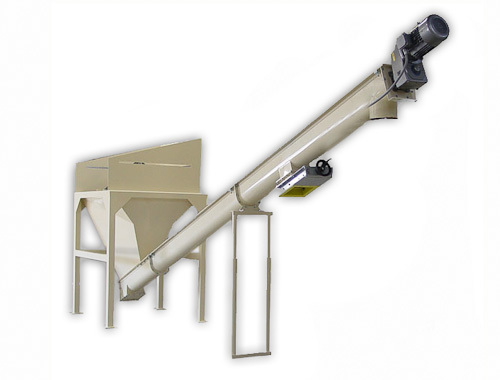 Co.
Screw conveyor systems go by a number of different names, helix conveyors, auger conveyors, and many other names, but there is no denying that these systems are able to handle a variety of materials and fit into just about any bulk material handling application. Because these screw conveyor systems are so prevalent, there are also a number of different options to consider when purchasing one of these systems. Typically, a screw conveyor system is made from metal such as steel or aluminum; however some forms of plastic screw conveyors can be used in applications where there is an abundance of high heat, moisture and high impact present. Depending on the application and the materials that are being moved, the system often involves either a trough or a completely enclosed system in order to ensure that there is zero material loss and no contamination during the transfer from point A to point B. 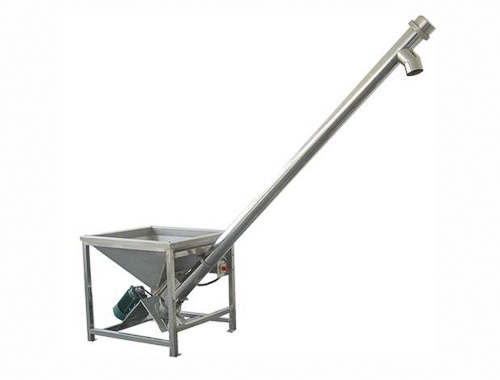 Depending on your application requirements, your screw conveyor can be vertical, horizontal or at an incline. If you choose to go with a horizontal screw conveyor system, you will be able to utilize the trough system whereas if you choose to go with a vertical system you will need to employ the tubular casing to ensure that your material stays within the screw conveyor system. Screw conveyor systems are very gentle when moving the desired material which is why they are used to transport such a wide variety of materials such as: caffeine powder, ferric sulfate, cocoa beans, garlic powder, flour, vitamins, fiberglass, lead oxide, and many other forms and types of materials. Whatever your exact needs may be, seeking out a skilled screw conveyor system manufacturer is a great way to ensure that you will receive the product that you require. Whether you are transporting loose materials, dry materials, even some liquid materials, a screw conveyor system is the best way to get them into and out of a vat, silo, rail car, hopper, truck, pit, or barrel. Screw Conveyor Systems Many material transportation systems rely on screw conveyor systems to transfer materials from point A to point B within a work space. These systems utilize a rotating spiral screw which is placed into a trough or tube, this allows for the screw to push material forward until it reaches its desired destination.